Look what the courier delivered today! My Harlequin Super Romance August release, TO BE A DAD. For those of you familar with my Supers, this is Dusty and Teressa’s story. Lots of things to be excited about this month. I’ve started writing a new book which I hope will be the first of a new series. I don’t have a title for the book or the series yet. But I’m having fun with the book right now. 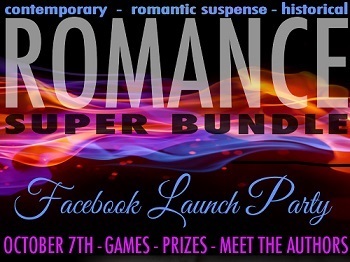 One of my books is included in a boxed set, the Romance Super Bundle . We just sold our 100,000th copy! When authors work together they can accomplish so much. We’re so pleased with the results, we’re publishing Volume 2 of the Romance Super Bundle. Keep an eye open for more news on that project. 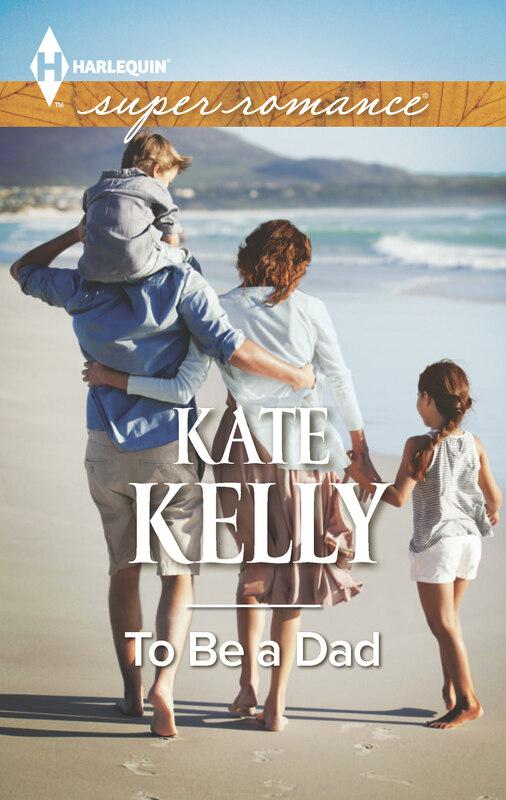 And here’s the beautiful cover for my August Harlequin Super Romance release, To Be a Dad. In Plain Sight received a Reviewer Top Pick 4.5 star from Night Owl Reviews!!! If you like your romance spicy and your intrigue high, then In Plain Sight is the book for you! This one has me wanting to go back and read the other two books in the series. You get great character development and a good plot. I highly recommend In Plain Sight! The characters and plot of jewel thieves grabs you and holds you until the end. 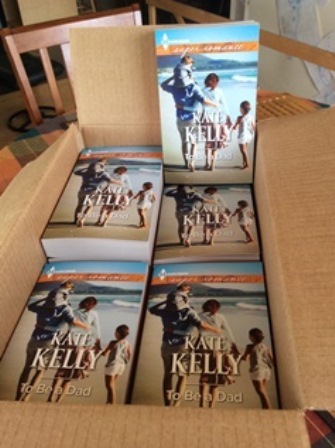 Kate Kelly does an awesome job of mixing steam and suspense. You will not want to put this book down until you find out how it all ends for Rafe and Bridget. I loved the fact that even though I have not read the first two books I was not lost. In Plain Sight can and did stand alone and was very rewarding. Bridget is not a woman to be messed with, as she quickly proves. Watching the two of them overcome their first encounter, find a way to trust one another and find their happy ending is delightfully entertaining. 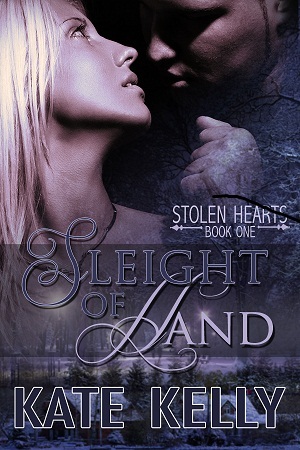 Sleight of Hand, Book One of the Stolen Hearts series is free for a limited time. Grab a copy while it’s free! I’ve just sent in the final edits (fingers crossed) of my July Harlequin Super Romance, now titled To Be a Dad. 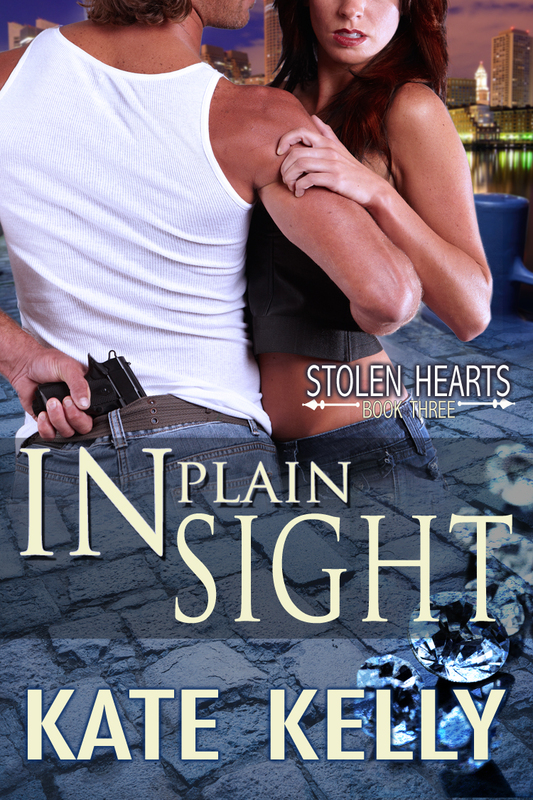 And In Plain Sight, the third book in my Stolen Hearts series went live on Amazon last night! Yikes! It’s the end of November already. I’ve been busy. I just sent my next HQN Superromance to my editor. Lean On Me (working title) is set in the small fishing village of Collina, the same setting as When Adam Came to Town. It’s Dusty and Teressa’s story, and let me tell you, those two gave me grief! The book doesn’t come out until next July, but my edits should arrive in a week or two, so back to work. I’d also love to get the edits done on my next romantic suspense, In Plain Sight, book three of the Stolen Hearts series. Hopefully, the book will be ready to be published sometime this winter. If you want to be kept in the loop, you can sigh up for my Newsletter. We have books to give away, gift ceritificates and prizes. We’re excited because our Romance Super Bundle – ten books on sale for 99 cents! – is selling so well already. All ten authors will be dropping by to chat at various times of the day. Every hour we’ll be giving away something. Amazon and Starbucks gift cards. Hard copies of books and ecopies. Come join the fun! Starting Monday, the 7th. I was extremely fortunate to be invited to participate in publishing a ten book boxed set. Sleight of Hand is one of ten romances, all for only 99 cents at the moment. The boxed set is on Amazon but will be published on most venues next week. Grab your copy of TEN books now. The Winner of my contest is Anita Hui! From Canada, no less. Congratulations, Anita. I’m running a contest on my FACEBOOK page for free copy of When Adam Came to Town. Drop by and say hello! Romantic Times review, 4 Stars!!!! 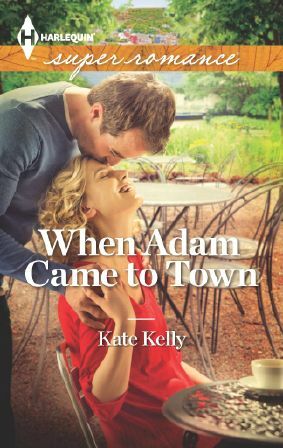 When Adam Came to Town offers a refreshingly light writing style and a nicely paced story. Kelly does a really nice job depicting character issue. Sylvie’s panic attacks and her worry over not being able to paint and Adam’s worry over his past both ring true — without their inclusion being at all heavy-handed. I’m celebrating a new cover for my romantic suspense, Shattered. It’s on sale for 99 cents. At long last, the cover for my Super Romance due to hit the stores September, 2013. Usually when I put an ebook on sale, I can only change the Amazon price easily. Because I’m Canadian, I use Smashwords to publish my books onNook and itunes, which means I don’t have direct access that allows me to do things like lower the price quickly. Yesterday I marked down Sleight of Hand to 99 cents on Amazon, and then because I was fed up with not being able to offer the same on itunes and Nook, I took a chance and lowered the price on Smashwords, assuming the change wouldn’t go through for another two to four weeks. I’m happy to report I was wrong. Sleight of Hand is already 99 cents at itunes and Smashwords. Fingers crossed Nook gets the news soon. Click on any of the above links to find the deal!